Why does the Mayo Clinic Social Media Network exist? The short answer is that it is consistent with Mayo Clinic's organizational DNA and its values. The long answer is to read this entire series. The in-between answer is in the distilled summary below. Mayo Clinic's early adoption of social media was a natural outgrowth of the networked communications that have been part of Mayo's organizational DNA for more than 150 years. Analog, face-to-face social networking—whether among medical professionals sharing expertise or patients and caregivers telling family and friends about their Mayo experience—has been the most important factor in Mayo Clinic preference. The opportunity of social media was to amplify and extend that social networking digitally, overcoming barriers of time and space and eliminating friction, enabling access to Mayo expertise while also building personal connections. In the last half of the last decade—and particularly from 2007 through 2009—Mayo seized these opportunities and saw significant success, leading to accelerating applications. From podcasting and narrowly focused but deep-impact videos to YouTube sensations and even national and international mass-media stories, leaders at Mayo Clinic began to see the power and promise of social media in health care. Dr. John Noseworthy, who had recently been designated as Mayo Clinic's CEO-elect, indicated an interest in exploring a more significant and strategic social media investment in August 2009. He saw the goal as not just promotion, but also harnessing these tools in various applications throughout the organization, in clinical practice, research, and education. The proposal we developed in response, to create the Mayo Clinic Center for Social Media, was approved and announced in July 2010. Our goal was to guide, advise, and train Mayo colleagues interested in applying social media tools in their work. 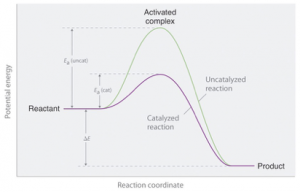 We saw our team as a catalyst for social media application, reducing the activation energy required to get "over the hump" in employing social media strategies in the complicated health care context. As we developed guidelines, training, and platforms to support our Mayo Clinic staff, we also saw an opportunity to share with and learn from colleagues around the world. We recruited members of an External Advisory Board (some of whom have graduated to Platinum Fellow status) and created what was then called the Social Media Health Network as a hub where we could learn together and develop and share best practices. We collaborated with Ragan Communications for several years on a series of annual social media summits we hosted on our Rochester, Minn. campus. We also held international health care social media summits in Australia in 2015 and 2016, and in 2015 collaborated with Hootsuite to create the first online CME-accredited course in the basics of social media in health care. In 2011 we also held our first Social Media Residency, which was then a 1.5 day immersion program for health care professionals, both the communicators and marketers developing programs for their organizations as well as clinical, research, and education professionals interested in narrower and deeper applications. The other major development that year was Dr. Farris Timimi, a Mayo Clinic cardiologist, becoming our Medical Director. Having a physician with some dedicated time to help lead our social media initiative and ensure that it stays grounded in the realities of medical practice was essential to our development. In December 2015, we combined the Mayo Clinic Center for Social Media and the Social Media Health Network to create what we have today: The Mayo Clinic Social Media Network (MCSMN). Basic membership is free and open to anyone in the world and includes access to thought-leader blog posts, selected monthly webinars and a library of Mayo Clinic social media resources, as well as curated daily News You Can Use. We want MCSMN to be the go-to resource for anyone looking to use social media for health-related purposes. All Mayo Clinic staff are Premium members by virtue of their employment, as are employees of our Organization Members and those who purchase Individual Premium memberships. We also offer discounted premium memberships for patient activists and students. Discounted registration for our in-person events, including Social Media Residency and our Annual Conference. Basic members who register for our Annual Conference also get a one-year Individual Premium membership. MCSMN is the social media manifestation of the spirit of The Surgeons Club, which welcomed nearly 3,400 visiting physicians to Rochester from 1908 to 1918 to learn surgical techniques from the Mayo brothers. Exactly a century later, MCSMN plays a similar role in promoting safe and effective use of social media for the benefit of patients everywhere. We look forward to continuing our exploration together. Work at Mayo Clinic? Then you're automatically a member of the MCSMN. Why the MCSMN is the social media manifestation of the Mayo Clinic spirit. What's the primary purpose of the MCSMN? 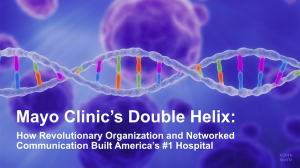 To amplify the Mayo Clinic story and message. Great article on how social media came to be at Mayo Clinic. Thanks for sharing Lee!